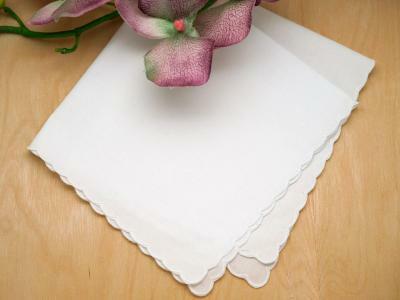 Looking for a sweet and meaningful gift that will suit for any occasion? 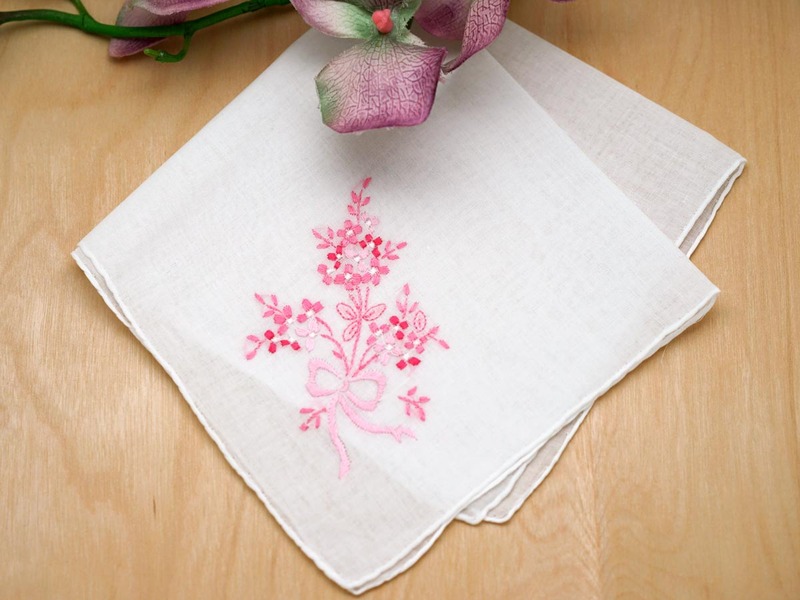 This is a set of 3 white handkerchiefs with beautiful pink wildflowers. A wildflower represents love and memory. The color pink is believed to bring serenity, contentment and is the universal color of romance, feminism and sweetness. The combination of both the wildflower and the color pink conveys a loving message to your loved ones. 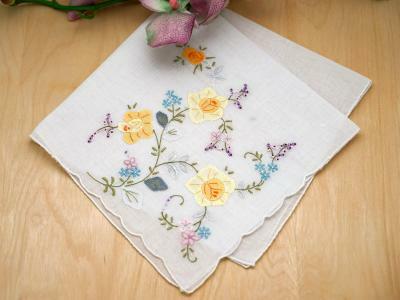 Each handkerchief has a handful of pink wildflowers elegantly arranged in a bouquet. 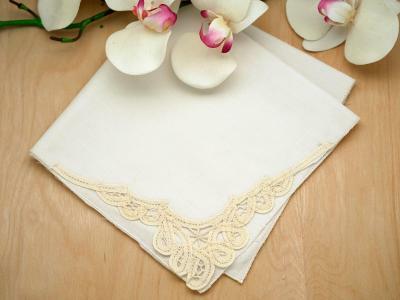 The elegant design makes it perfect for the bride or her attendants and ideal for small gifts for any occasion. 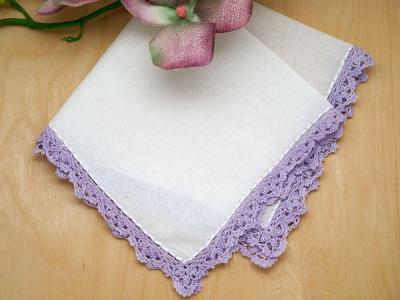 Each handkerchief is 100% cotton and measures approx. 12" x 12" square. 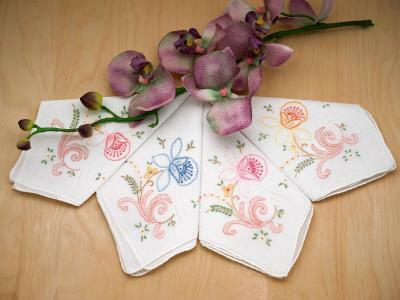 Set of 3 Pink Bouquet of Wild Flowers Handkerchiefs Customers have rated this product	5 out of 5 based on 1 rating(s). 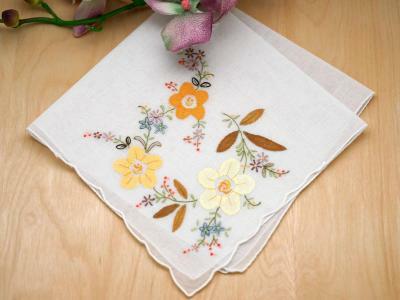 These so remind of handkerchiefs my grandmother used to make. I love them.